The Tree of the Year contest was initiated four years ago in the Czech Republic by Nadace Partnerství and it is now organized by the Environmental Partnership Association, with the aim of highlighting the significance of old trees in the natural and cultural heritage. The contest search for trees with particular stories connected to the communities in which they grow, trees that have become a part of people’s lives and serve as a community-gathering element. 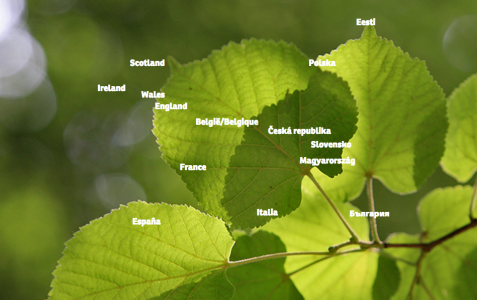 The tree of the year is now organized in fourteen countries, a growing number since the five initial ones. Each country organizes a national contest to select the national winner, which will then compete for the title of European Tree of the Year. Every year, hundreds of thousands of people participate in the European round of the contest, by voting online for their favourite trees. Followers of each tree mobilize a communication campaign in order to get the more votes as possible for their tree. The idea of competing at European level has a huge power of mobilizing the people, bringing communities together around their beloved trees. The winning tree will have a leading role in the award ceremony organized in the European Parliament in Brussels. The magic of this contest is that it brings public attention to the local natural heritage, it activates communities around trees, and it attracts young people through social media. The purpose of Tree of the Year is to provide trees with the care and protection they deserve as witnesses of our cultural heritage. Beginning the first of February, people will have the opportunity to choose their favourite stories among trees from Belgium, Bulgaria, Czech Republic, England, Estonia, France, Hungary, Ireland, Italy, Poland, Scotland, Slovakia, Spain and Wales. Voting takes place online through the website www.treeoftheyear.org. The winning trees are not the most beautiful or the biggest, but the trees which stories are most touching, the trees whose roots are more deepen into the living of the local people that surrounds them. Get to know the stories of the trees before voting, and follow the contest on facebook to get all the updates: www.facebook.com/treeoftheyear.